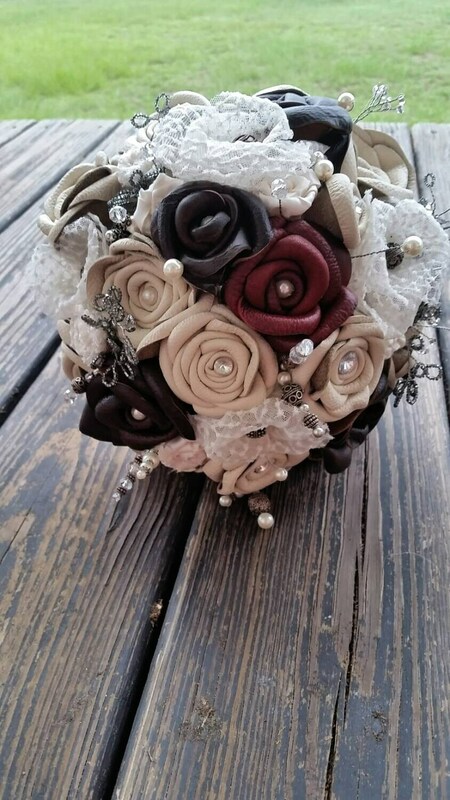 Each flower in handmade. I selected the leather, choosing the best properties for each flower. Each individual petal was hand shaped and hand moulded so no two flowers are alike. 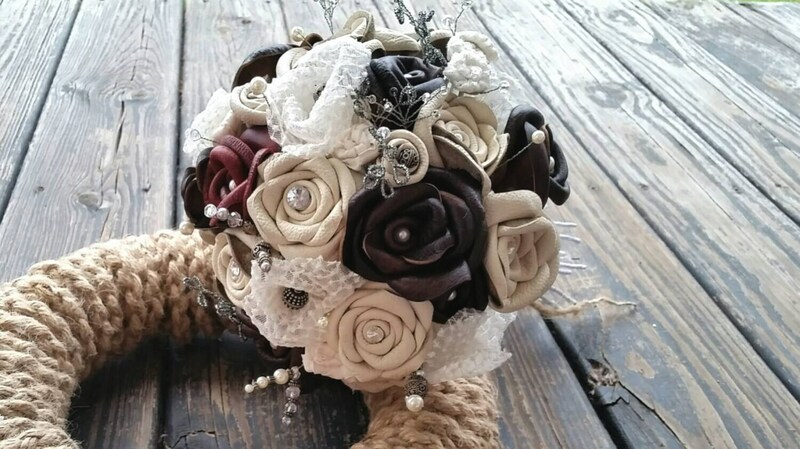 I used several different methods to achieve the over all look which makes this bouquet a truly unique and beautiful bouquet. But I didn't stop with just leather. Leather marries lace for a truly spectacular bouquet. 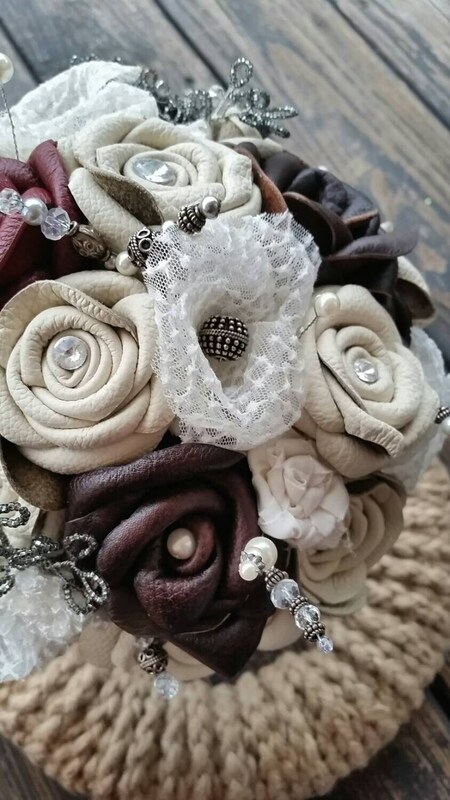 Hand sculpted lace roses are paired with ivory and brown leather roses for a stunning effect. Small lace and satin rosettes are made for bouquet filler. Handmade beaded branches were woven on silver wire for a baby's breathe effect. You will find Czech glass beads, pewter beads, sterling silver beads, pearls, rhinestones, and Swarovski crystals tucked amid the hand sculpted flowers. And in the center a beautiful red leather rose. 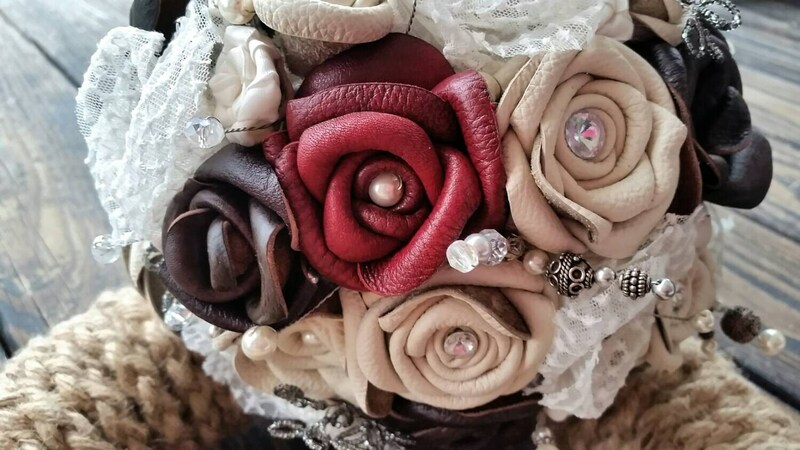 Measuring approximately 10 inches by 12 inches, this bouquet is created using leather, glass pearls, and decorative buttons. 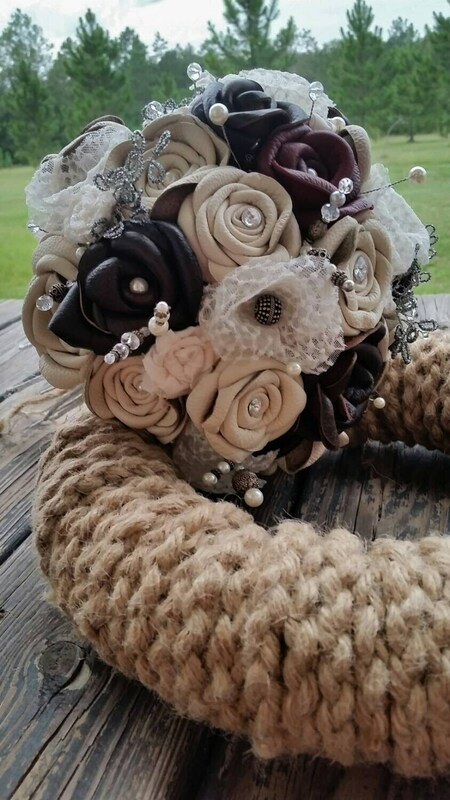 The stem wrap is not pictured but it is customizable along with the style of flowers and the color.